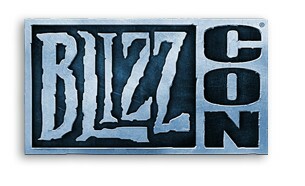 October is coming, eventually, and you know what that means: BlizzCon 2011 is on the way. It may not be a huge surprise but at least it's official. Blizzard announced today that this year's BlizzCon will go down at virtually the same time and place as last year, October 21 and 22 at the Anaheim Convention Center in Anaheim, California. Details are in short supply but Blizzard CEO Mike Morhaime promised plenty of everything that makes BlizzCon such a hit among gamers, including discussion panels, competitive and casual tournaments, contests, unique merchandise and of course an inside look at the studio's latest and greatest games. The 2010 edition of BlizzCon featured an appearance by Tenacious D, a Deathwing/Murloc crossover pet for World of Warcraft players and a "Murloc Marine" character portrait for StarCraft 2 fans, and a horribly awkward Q&A encounter for a guy in a red shirt that quickly became one of the year's finest moments of nerd triumph. It also sold out in about ten minutes, so you better be quick on the draw if you want to go.